Facing an Oct. 1 deadline, many U.S. merchants are taking steps to prepare for new, more secure, credit and debit cards. Many new terminals will support both methods, as well as NFC payments via smartphones and smartwatches such as the latest iPhones or the Apple Watch, which use Apple Pay. NFC payments are usually done by just touching, or nearly touching, a device to a payment terminal and entering a confirmation on the phone. 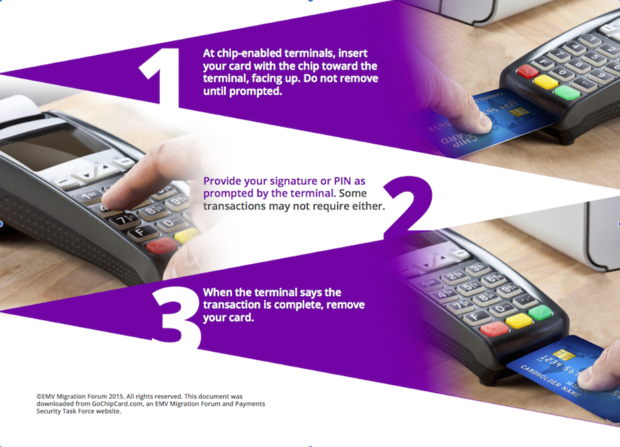 In addition to “touch and pay” with a smartphone, some retailers like Rite-Aid will support the ability to touch the terminal with a chip card to pay.